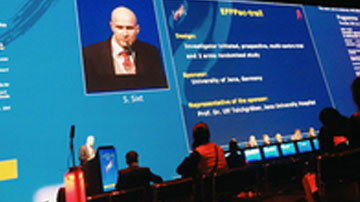 EffPac trial will be a 2-arm randomized study at 1:1 ratio between luminor 35 and POBA. Primary endpoint will be late lumen loss (LLL) defined as difference between artery diameter at 6-month follow-up minus post-procedure. Inclusion criteria will include peripheral vascular disease Rutherford class 2-4;de novo stenotic / re- stenotic lesions or occlusive lesions in the superficial femoral (SFA) and / or popliteal arteries (PA) with ≥70% diameter stenosis or occlusion; and target lesion length ≤15 cm (TASC II A and B).